Mr Cheung (right) and Mr Kim exchange folders effecting the increase of the reciprocal quota. The Secretary for Labour and Welfare, Mr Matthew Cheung Kin-chung (right), meets the Consul General of the Republic of Korea in Hong Kong, Mr Kim Kwang-Dong, at Central Government Offices, Tamar today (November 20) to announce that the annual quota of the Hong Kong/Korea Working Holiday Scheme will be doubled from 500 to 1000 on a reciprocal basis with effect from January 1, 2016. In view of the increasing popularity of the Hong Kong/Korea Working Holiday Scheme (WHS), the Government of the Hong Kong Special Administrative Region (HKSAR) has agreed with the Government of the Republic of Korea to double the annual quota from 500 to 1000 on a reciprocal basis with effect from January 1, 2016. The increase was announced after a meeting between the Secretary for Labour and Welfare, Mr Matthew Cheung Kin-Chung and the Consul General of the Republic of Korea in Hong Kong, Mr Kim Kwang-Dong today (November 20) through the exchange of folders for effecting the increase. Mr Cheung warmly welcomed the expansion of the annual quota. He said, "I am glad to note that the Chief Executive, Mr C Y Leung, has just announced last night that during his meeting with President Park Geun-hye at the fringe of the Asia-Pacific Economic Cooperation (APEC) Economic Leaders' Meeting in Manila, he has made clear that the HKSAR Government has decided, with the support of the Central Government, to set up a new Economic and Trade Office (ETO) in the Republic of Korea as soon as possible. This will be Hong Kong's 13th ETO, which will enhance development of mutual relationship in all facets including economic and trade co-operation, tourism and cultural exchange. "This is the second time that the quota has been increased since the inception of this scheme in 2011. The expansion will allow more youths from both economies to broaden their horizons and enrich their cultural experience through living and working temporarily in the other side. I am particularly encouraged that the scheme is not only well-received by Hong Kong youths, but has also been over-subscribed by youths from Korea. 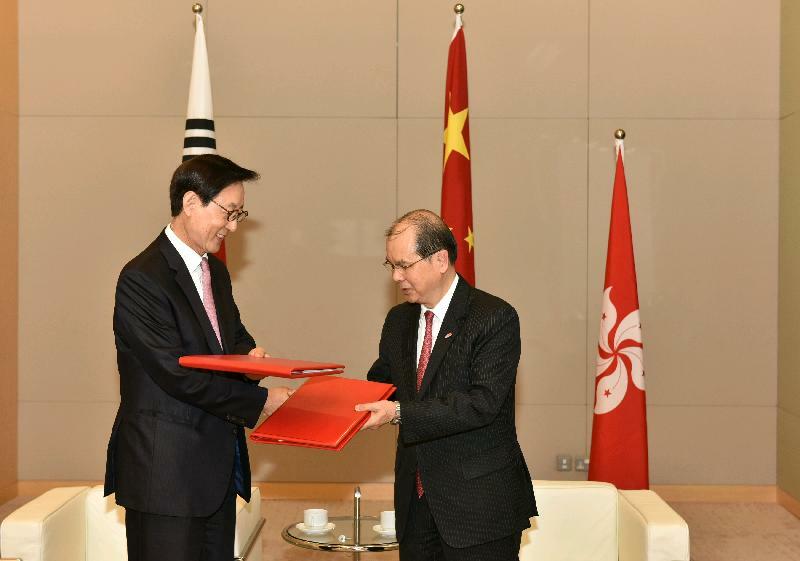 The mutual exchanges could further deepen the social and cultural ties between Hong Kong and Korea," Mr Cheung added. Mr Kim also welcomed the increase of the reciprocal quota. 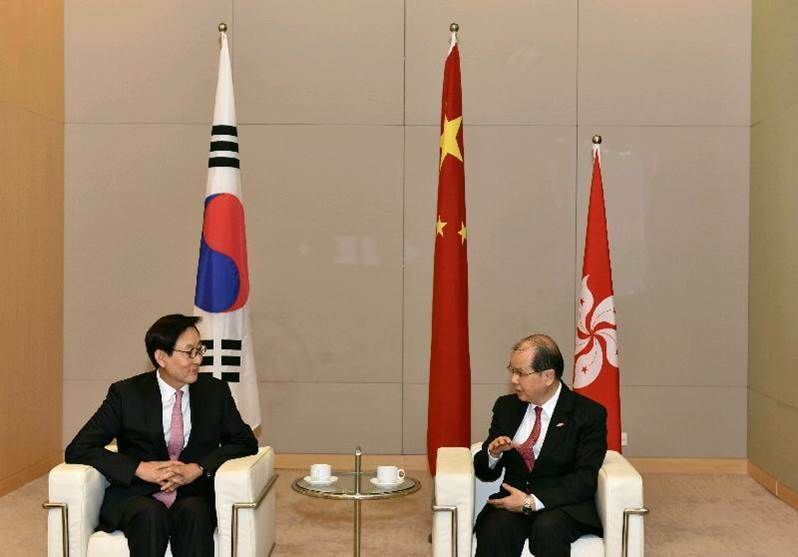 He said, "The doubling of the annual quota is not only a manifestation of the increasingly close relationship between Korea and Hong Kong in terms of economic, social and cultural co-operation, but also in response to the growing number of young applicants for the scheme. We play the role of a facilitator in promoting mutual exchange and cultural exposure through this scheme." Under the Hong Kong/Korea WHS, Hong Kong youths aged 18 to 30 who hold a valid HKSAR passport or a British National (Overseas) passport and have not benefitted from this scheme before may apply for a visa. Successful applicants may stay in Korea for up to 12 months, during which they can take up short-term employment of not more than six months with the same employer, and/or enrol in one short-term course of up to six months. Interested youths from Hong Kong can visit the website of the Consulate General of the Republic of Korea in Hong Kong for further details regarding visa applications. Potential applicants from Korea may refer to the Hong Kong Immigration Department's website at www.immd.gov.hk. Since 2001, the HKSAR Government has established bilateral WHS arrangements with 10 economies. Apart from Korea other partners include New Zealand, Australia, Ireland, Germany, Japan, Canada, France, the United Kingdom and Austria. So far, more than 65 000 Hong Kong youths have joined these WHSs. Hong Kong youths are welcome to join WHSs. At the same time, the HKSAR Government also reminds the participants to get well prepared before departure from Hong Kong and to stay alert during their travels for safety reasons. These include taking out appropriate insurance policies, observing local laws and being cautious in dealing with the terms and conditions laid down in employment contracts in the working holiday destinations. In case of accidents or serious incidents during their stay in our partner economies, WHS participants should immediately approach the local government authorities for assistance. They may also approach the local Chinese Embassy or Consulates, or call the 24-hour hotline of the Assistance to Hong Kong Residents Unit of the Immigration Department on (852) 1868.